The producers of FATHERS OF THE DARK KNIGHT wish to meet YOU!!! Click on the character links (listed below) and learn all about the exciting roles that are yet to be cast for our ambitious stage production!!! We are about to take the theatrical stage by storm and YOU could be a part of all the excitement!! 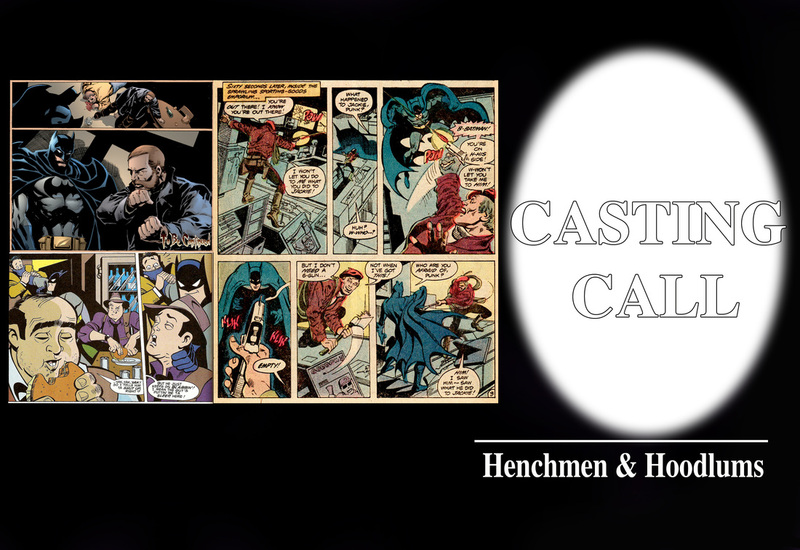 If you are an actor based in the New York / Tri State area, and you are interested in auditioning for a part in FATHERS OF THE DARK KNIGHT, simply reach out to us using our CONTACT PAGE. Let us know which character(s) you are interested in auditioning for, and we will get back in touch with you very quickly to schedule an audition!